Holy Cow!! Cow Parade is the largest public Art event in the world and has been hosted in more than 80 countries and tourism destinations. 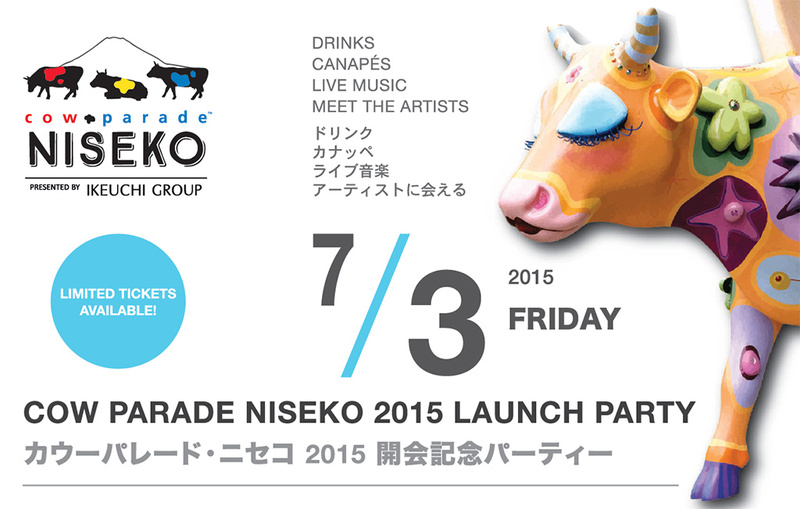 This year Niseko has become the 81st host and the entire area has come alive with 47 decorated Cows. 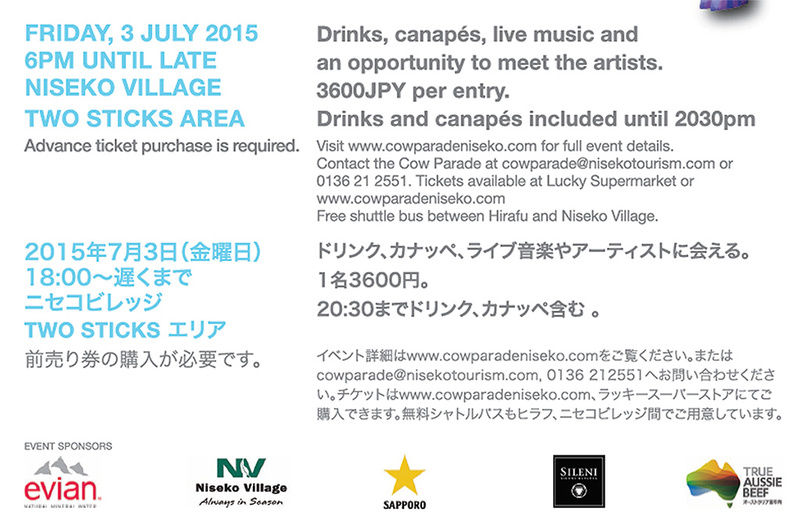 The Cows will be displayed around the Niseko area from June to October 2015. This Friday the 3rd of July the launch party will be held at Niseko Village’s Two Sticks Area from 18:00pm until late. Tickets for the event cost 3,600 yen. .Be part of the official launch ceremony at 1830pm a see the unveiling of the official Cow Parade interactive photo booth.